Respected journalist Bheki Makhubu was refused bail by controversial judge Mpendulo Simelane at Swaziland’s High Court on December 5 2014. “I find that the applicant has woefully failed to convincingly establish the requisite exceptional circumstances to warrant his release on bail pending appeal,” said Simelane reading his ruling in court. Makhubu, editor of outspoken monthly magazine The Nation, was convicted of contempt of court on July 17 2014 along with human rights lawyer and Nation columnist Thulani Maseko. 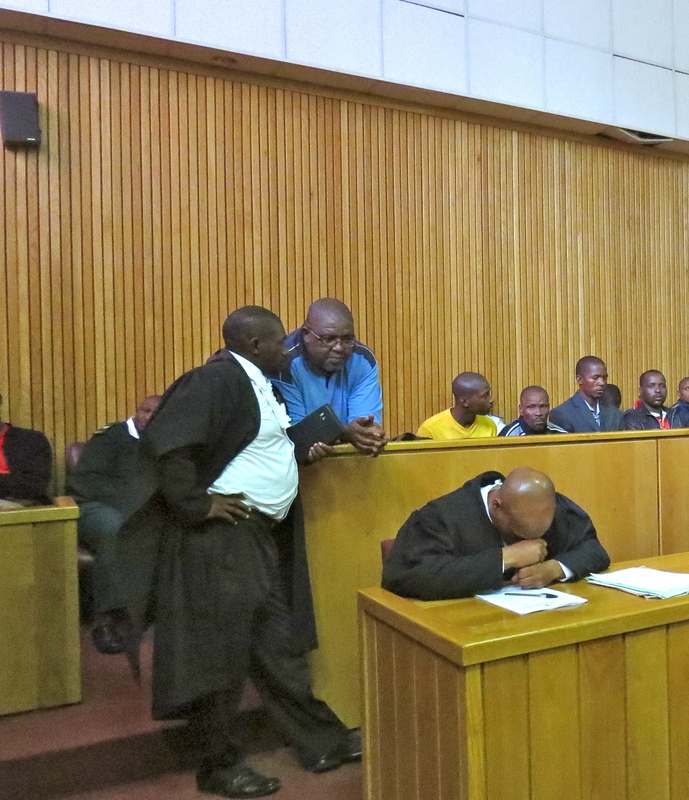 Judge Simelane, the trial judge in the drawn-out legal saga, sentenced Makhubu and Maseko to two-years in jail without the option of fine on July 25 2014. In court on December 5 Simelane said because Makhubu was already a convict any presumption of innocence he had “falls away” and therefore “the application for bail pending appeal is refused”. Makhubu’s criminal conviction stems from articles written by himself and Maseko in The Nation in February and March 2014. Both articles criticise the actions of Swaziland’s chief justice Michael Ramodibedi, while calling for a more tolerant and democratic system of governance. Makhubu and Maseko in their “contemptuous” articles also criticise the actions of judge Simelane, who was the then-Registrar of the high court. Several attempts were made by defence lawyers to get Simelane to recuse himself from a case in which he has an interest, however Simelane dismissed these applications. Lawyer and columnist Thulani Maseko decided not to apply for bail after his conviction because he perceives judge Simelane to be biased. During the contempt of court trial earlier this year there was a heated exchange between Maseko and Simelane. Several local and international rights groups have been calling for the Simelane to step down, alleging he does not qualify to be a judge. Amnesty International has called Makhubu and Maseko prisoners of conscience. Archbishop Desmond Tutu, along with several other southern African and intentional rights groups continue to call for the immediate release of the two men. At this stage, an appeal against their conviction and sentence is due to be heard in May 2015. If the appeal is unsuccessful they are due to be released in July 2015. Until then, both writers remain behind bars. Tags: bail, bheki makhubu, Christmas, Contempt of court, Mpendulo Simelane, swaziland, Thulani Maseko. Bookmark the permalink.